PROVIDENCE, RI — The Famous Narragansett Beer introduces, for the first time in its 120-year history, the seasonal release of a summer craft brew, Narragansett Summer Ale. Distributed throughout New England, Southern New York, and Philadelphia at leading package stores, bars and restaurants, Summer Ale will be available on draught and in ‘Gansett’s signature 16oz. Tallboy cans. 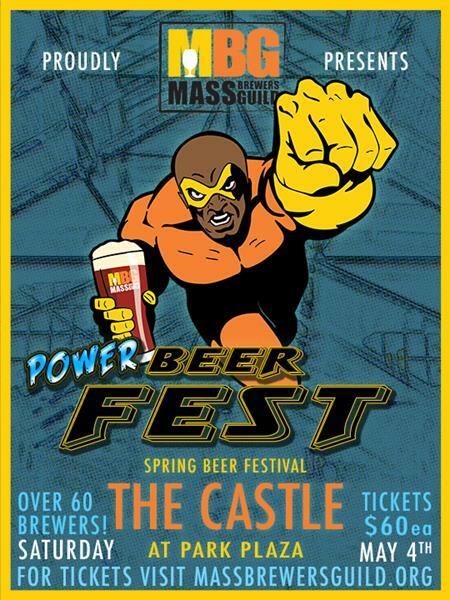 Narragansett Summer Ale is brewed under the supervision of award-winning Brewmaster Sean Larkin at Trinity Brew House in Providence, RI, Cottrell Brewery in Pawcatuck, CT, and High Falls Brewery in Rochester, NY. This easy-drinking light session ale features two row pale malt and citra hops, a very popular, newer variety of hops with very evident aromas of citrus and passion fruit that complement the pale malt perfectly. Golden blonde in color, its pour produces a generous white head and balanced carbonation. A supremely drinkable summer craft brew, the malt flavor is smooth and subtle, balanced out by a crisp hop bitterness, perfect for the beach, boat or ballgame. Summer Ale is 4.2% Alcohol by Volume and 24 IBUs. 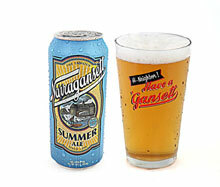 “‘Gansett Summer” is the first Ale to be produced by Narragansett Beer since the 1970s. Known best for its signature Lager, a wide variety of Ales were once available, beginning in the late 1800s. The original brewery devoted an entire four-story building to the “Ale Department,” and staples like the Pale Ale, Select Stock Ale, and Banquet Ale outsold Lager until the 1940s when American tastes changed as a result of thousands of GI’s returning home from Lager-drinking European countries during World War 1 & II, and a wave of Lager-drinking immigrants. The Summer Ale Tallboy can features iconic imagery of the famous Narragansett Towers. Once part of the Narragansett Pier Casino, the Towers remain a historic landmark, having endured two great fires in 1900 and 1965 and three tremendous hurricanes. The surfer catching waves in the foreground symbolizes Narragansett Bay’s reputation as one of the region’s top summer surfing destinations. For further information on Narragansett Summer Ale or to find a retailer near you, visit: http://www.narragansettbeer.com/products/summer-ale.